Ever greening of patent refers to the attempts by the patent-holders and especially pharma companies to try and extend the life of the patent by obtaining patents on different aspect of the same drug to extend their monopoly. Due to such ever greening, a single drug can end up having multiple patents leading to patent thickets. This prevents introduction of generic versions of drugs even after the expiry of the original patents. The said section from the very beginning is seen as an obstacle by several MNCs and the pharmaceutical companies to capture the Indian market with their new products and have been contesting every word of section 3(d)- like efficacy, enhancement and significant etc. The major case post 2005 seeking to redefine and interpret section 3(d) has been the famous Gleevec case (gleevec is the brand name of an anti cancer drug). In 1998, the Swiss Pharmaceutical company Novartis filed an application for a product patent on the beta crystalline form of imatinib mesylate, the original molecule having been discovered in early 1990s and patented by Novartis in the United States and other developed countries in 1993. The case has albeit set a landmark decision but on the other hand, parliamentary inclusion of section 3(d) in the article directed to unpatentable inventions arguably preludes the question of any taking of property rights, as it is arguable that no property is being taken. There is little doubt that India’s approach is based upon a public health perspective, namely the concern that absent such provision, the law would allow ever greening or an extension of a patent protection through multiple patents on the same invention. See Novratis AG v Union of India,(2007) 4 MLJ 1153 (High Court of Madras, August 6,2007). See http://www.asianscientist.com/features/novartis-loses-historic-india-patent-case-cancer-drug-glivec-2013/ retrieved on 22and April, 2013. 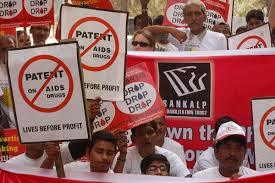 See http://www.moneycontrol.com/news/business/novartis-loses-cancer-drug-glivec-patent-case-stk-dn-4-_844729.html retrieved on 22and April, 2013., http://www.thehindubusinessline.com/companies/judgment-day-gavel-set-to-fall-on-novartis-glivec-case/article4567308.ece retrieved on 23rd April, 2013. Next Article Tonight, We Are Young…..